When I first met Alva and Brian they promised me they would be the most laid back couple I would ever photograph. On the day they were true to their word – relaxed and taking it all in surrounded by family and close friends. 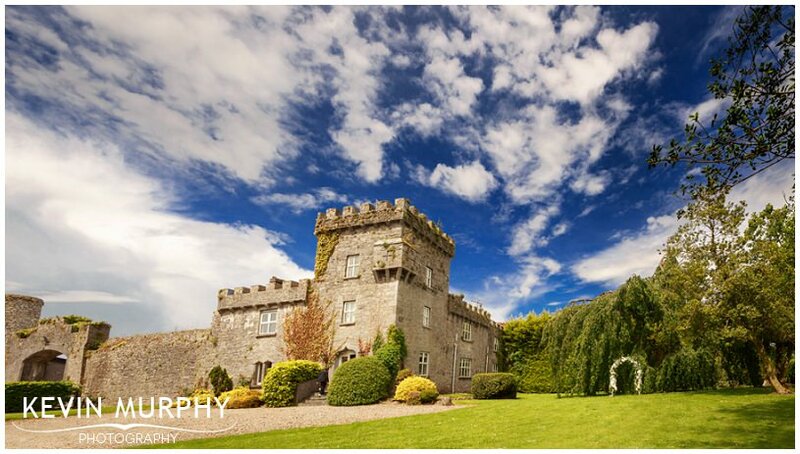 They were married in St. Brendan’s church in Curraheen and held their reception in Ballyseede Castle. On our way to their reception we visited Derrymore Strand for twenty minutes for a romantic stroll on the beach and some champagne. We practically had the beach to ourselves and the sun hid behind some clouds at the perfect time to get some lovely photographs. The fun and jokes as Brian and his groomsmen got ready that morning – I knew I was in for a good day! How relaxed Alva was – it can be easy to get caught up in all the commotion but she didn’t have a bother in the world. The setting of the church in Curraheen – stunning. The weather was good too so the guests had a chance to mingle while enjoying the view. How Alva and Brian married each other. Fr. Jack joined the congregation while Alva and Brian stood on their own, made their vows to each other and exchanged rings. It was lovely. Ballyseede Castle, it’s fab. It was my first wedding there and I already can’t wait to get back there again. The sun was out, the gardens were in full bloom and the champagne was flowing – you can’t ask for more than that! John’s best man speech. That man can tell a story! His tale of Brian’s first (and last!) game as a rugby referee had me, and everyone else, in stitches! I’ve been looking forward to Ciara and Paul’s wedding since I first met them. Each time we met, we ended up spending more time laughing than talking so I knew it was going to be a fun wedding! And it was! The weather was sunny, the guests were happy (thanks to an ice cream cart no doubt) and Ciara and Paul were enjoying every single minute. They were married in their local church in Monaleen and had their reception in the Castle Oaks House Hotel in Castleconnell. Ciara and Paul’s house. Honestly, it’s like something out of an interior design brochure. I was spoilt for choice for interesting backgrounds. How relaxed and natural Ciara and Paul were during the ceremony, helped along by Fr. Dan’s witty banter. The personalised coasters at their reception which had photographs of them together through the years. Selfies! They were all the rage – in fact I even got dragged into one myself! 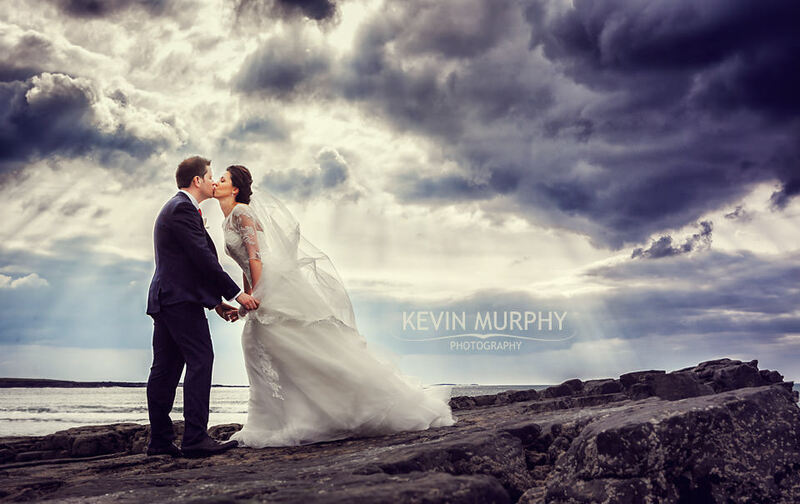 I’ve known Stephani and Eanna for a few years now so I was delighted to be asked to photograph their wedding. It was one of the most fun weddings I’ve ever photographed! You might think I’m biased – but I’ve got proof! 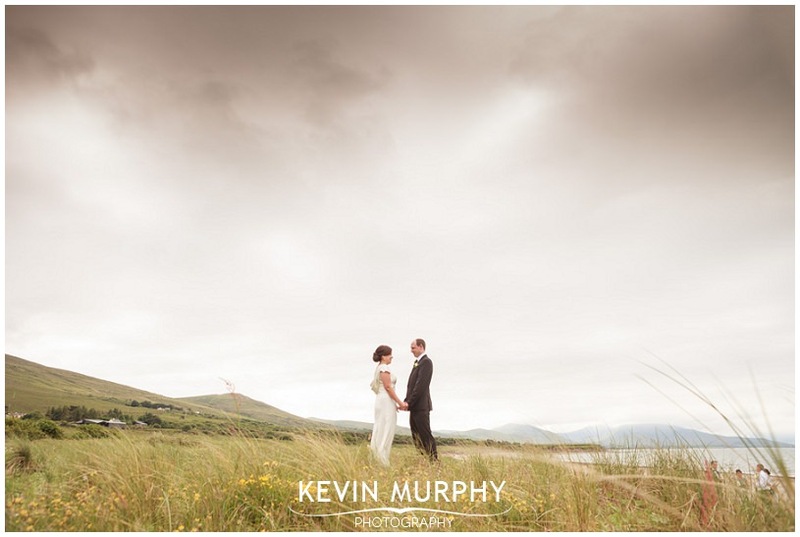 They were married in a humanist ceremony in Sneem Hotel, and had their reception there too. The weather was amazing, the location was stunning and the guests were in party mode! Where do I start…. having a good Irish breakfast especially cooked in Senan’s campervan was a pretty good start to the day! 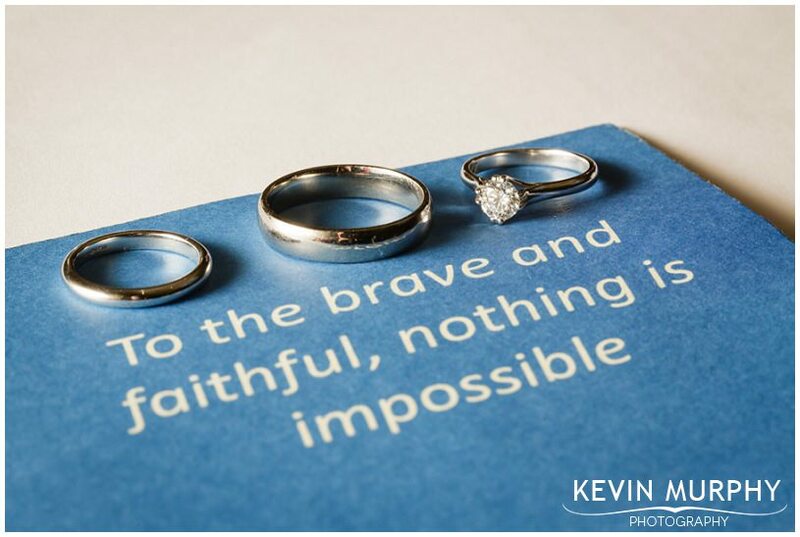 The best man swapped out the rings from the box and replaced them with a bottle cap from a Schweppes bottle of water. Why? Because he reckoned “Eanna schwepped Stephani off her feet”! Probably the best opening line of a best man’s speech ever. 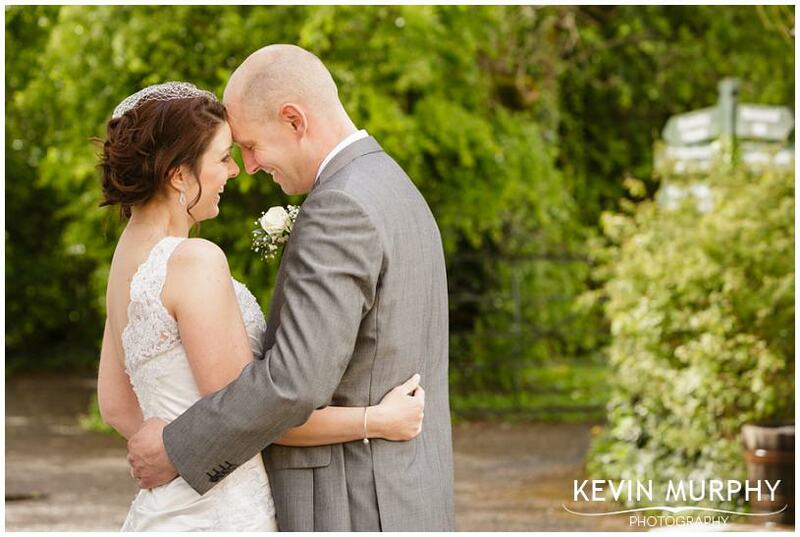 Tanya and Mark were married in Manister church and had their reception in the Bunratty Castle Hotel. The star of the show was their beautiful daughter Emmy who spent the whole day being oohed and aahed over! When I met Tanya and Mark to discuss the plan for their day they only had two requests – take loads of photographs of Emmy and don’t spend too long taking photographs of them! The first part was easy – Emmy smiled every time I walked by. As for the second part, within 15 minutes of taking my first photo of Tanya and Mark in the Folk Park in Bunratty we were finished and Mark had a pint of Guinness in his hand! I think I set a new record! Emmy deciding to eat the mass booklet! In an act of utter confusion, the best man tried to bless the wedding rings before the priest took over! Finding a nice new location in the folk park with beautiful light. The renovated reception room in the Bunratty Castle Hotel. The dark panelling has been replaced with a lovely bright finish which helps create lovely light for photography. Tanya and Mark’s entrance to the reception. It was my first time seeing the hotel wedding coordintator getting a high five on the way in! Ann and Martin were married in Coolcappa church in Co. Limerick and held their reception in the Radisson Blu hotel in Limerick. We met waaaaaaaay back in 2012 so it felt like forever for their wedding to arrive. It was worth the wait! Every meeting I’ve had with Ann and Martin to discuss their wedding was a lot of fun so I knew their wedding was going to be great too. Martin, the blow up doll, who was still hanging around since the hen party! Purple, hand stitched, personalised converse. Martin walking to the church from their house just up the road. Ann’s father surprising everyone by playing his accordion during the wedding ceremony. A flying visit by the children Ann looks after. The Limerick / Cavan rivalry. I think it’s fair to say Limerick was the clear winner this time! 🙂 Each table was named after a town you drive through on the way from Limerick to Cavan which was a clever touch. Curraghchase. I love it in there and it was great to finally go there with a wedding party. The speeches which brought everyone to tears from laughing! A quick pick from the fun filled wedding of Ann and Martin. This is one of the very few photographs where they are not laughing! The girls all got ready in the Armada that morning which was a lot of fun and excitement. Marija’s dress – wow – I’m not going to pretend I know much about wedding dresses but she looked absolutely stunning. Darragh’s reaction to finally seeing Marija at the top of the aisle. 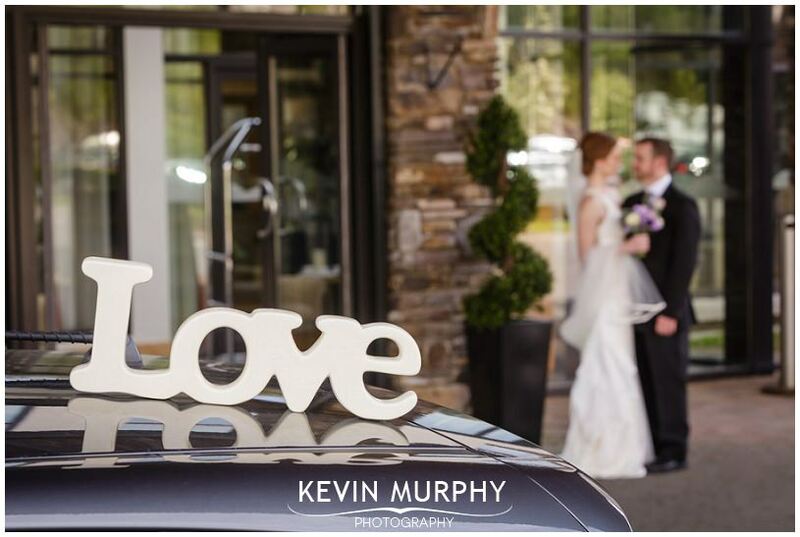 Marija’s surprise for Darragh – she organised two doves to release after the ceremony. The location. I love the coast anyway, but it looked particularly amazing that day. The speeches. 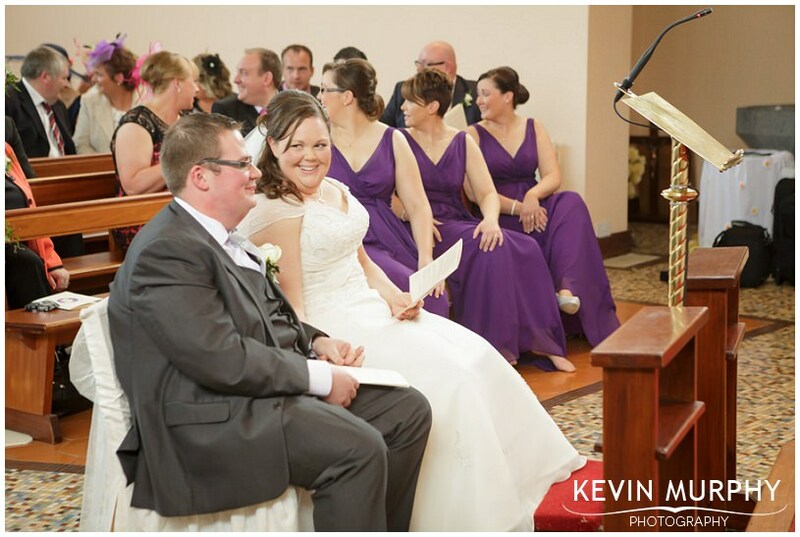 Usually the groom’s speech is short and sweet, but Darragh’s was hilarious! 🙂 So was Aidan’s and Marija’s sister Nadezda’s was so emotional and heartfelt it almost brought the whole room to tears. The party atmosphere – everyone was there to have a good time, celebrate and enjoy themselves. 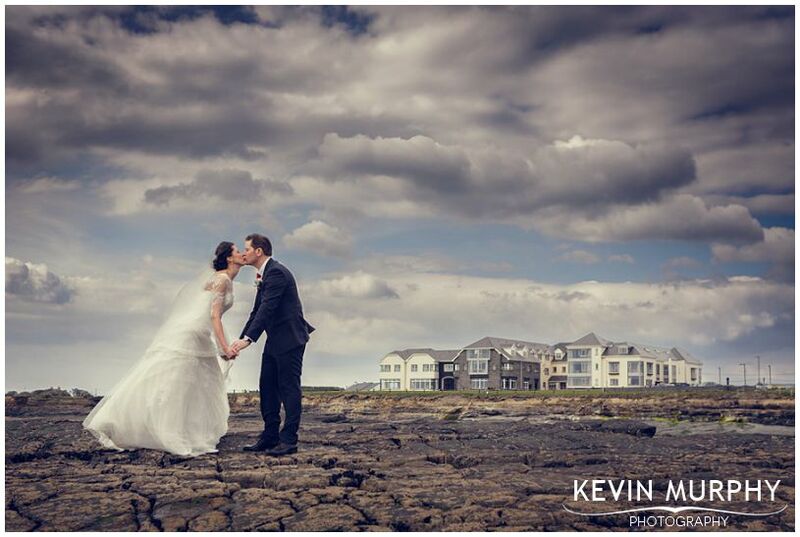 My personal favourite wedding photograph from their wedding in the Armada Hotel in Spanish Point in Co. Clare.